In 4 months time, 400 citizens signed up on the platform and posted around 125 ideas that the local government qualified as being “mostly constructive, more future-oriented than with offline participation and of great quality overall”. The city of Oostende is a municipality of more than 70,000 inhabitants located at the Belgian coast. 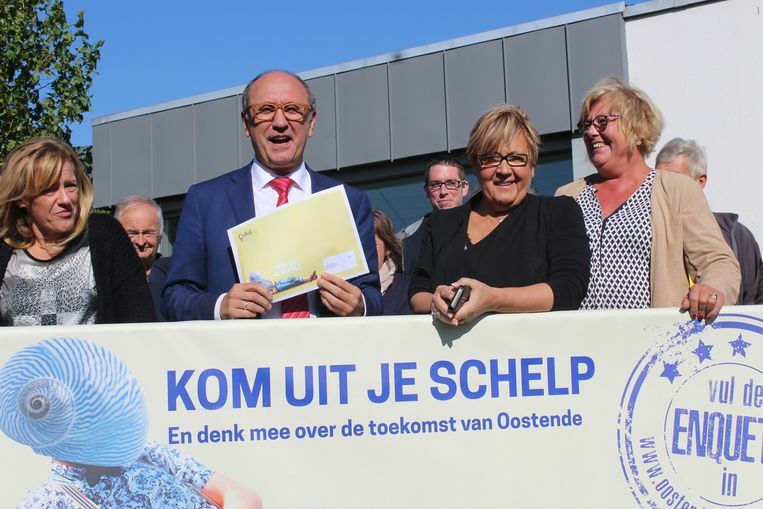 Its local government launched a few months ago a project called “Kom uit je schelp” (i.e. get out of your shell) which aims at continuously asking the citizens for their creative ideas to improve the life in the city. The city representatives were consequently looking to develop a city- wide consultation process both online and offline that would reach a lot of people - especially youngsters - in an efficient manner. For that they needed a digital tool that would be easy to integrate with their offline approach which they found in CitizenLab. As a matter of fact, they used CitizenLab to gather the contribution of their citizens on a broad range of topics (culture, environment, security, etc) city-wide and at the neighbourhood level. First of all, they defined internally the themes on which they wanted their citizens to interact. post dummy content and explanatory notes for the citizens. The launch phase is important to drive a lot of traffic to the platform and kickstart online citizen participation in the city. Ostend used several means to push their citizens towards the platform such as social media posts (Facebook & Twitter), press releases and the embedded CitizenLab widget on the website of the city. We joined forces with Ostende to maximise the number of visitors and users using our social media and newsletter. The result was compelling: the number of registered users reached 200 after only 1 month. It is critical to keep the citizens engaged during the whole online consultation process which is why CitizenLab offers the possibility to set up an automated newsletter. 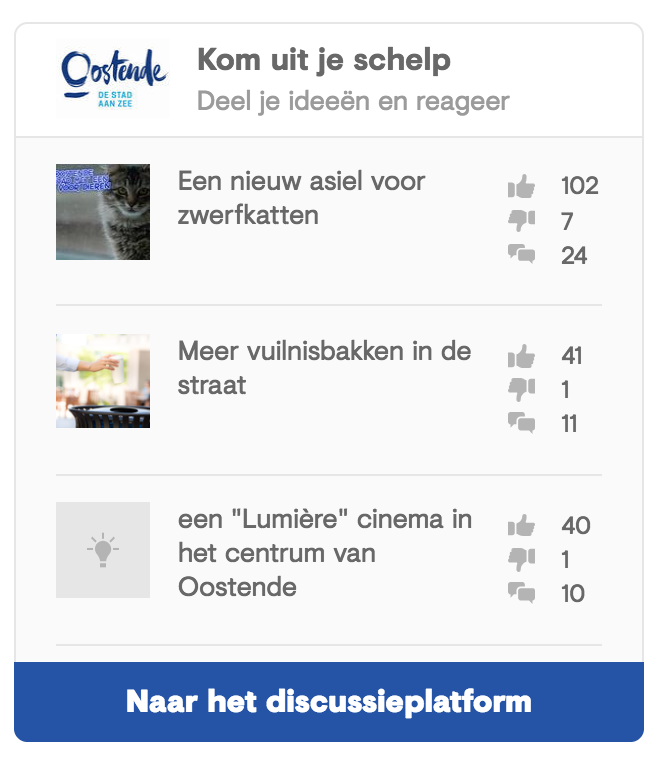 Ostende used the automated newsletter to inform all the registered users about the recent activity on the platform such as the most popular ideas that were posted in the last week. As a result, citizens kept on commenting and voting on the platform to make the discussions go forward and deliver more input to their local government. Our widget helps to bring people from the city website to the platform. It is also worth noting that 47% of the users are under 35 years old. The local government was satisfied both with the number and the content of the ideas posted qualifying them as being “mostly constructive, more future-oriented than with offline participation and of great quality overall”. In 2018 the city will continue to use the CitizenLab platform to continuously ideate new participation processes that got European funding.